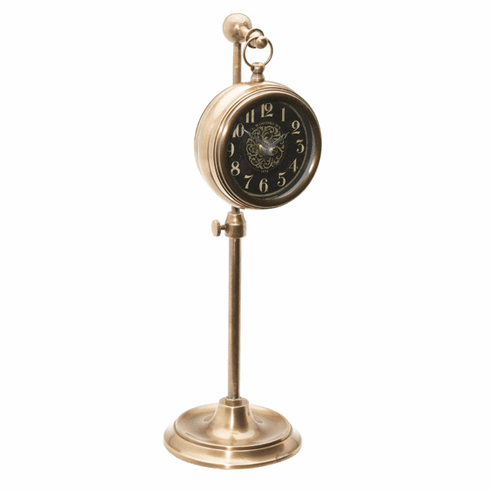 This unique Timeworks' mantel clock is made of solid brass with a telescoping stand. Dial is black and antique ivory with steel hands. Clock height can be adjusted from 7" to 12".